Spotnails #416-8M, 1/4 x 1 inch Corrugated Fasteners. Collated in strips. 8000/Box. Price/Box. 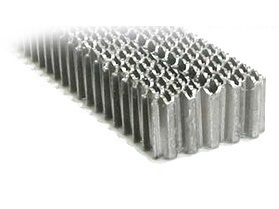 Spotnails #616-5M, 3/8 x 1 inch Corrugated Fasteners for Wood. Collated in strips. 5000/Box. Price/Box.